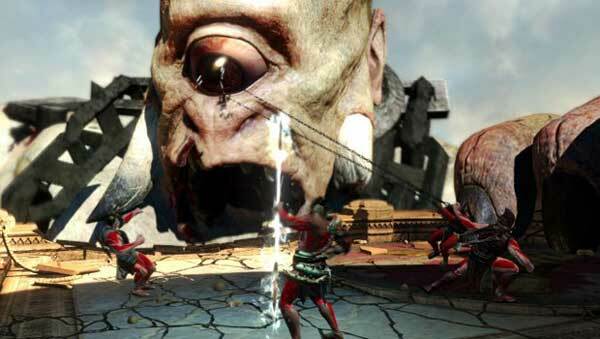 God of War Ascension PS3 Review. God of War Ascension contains all the bigger than Ben Hur gameplay from the series and is another enjoyable Kratos experience. 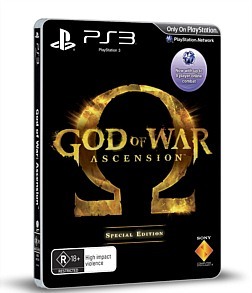 The God of War series is easily one of the best action games by Sony which features an awesome and angry protagonist as he takes on ancient gods and monsters in order to fulfill his justice and revenge. And as gamers are taken back to the world of Kratos, the game once again features those over the top boss battles, our heroes deadly weapons and more Greek myths and gods than you can poke a stick at. 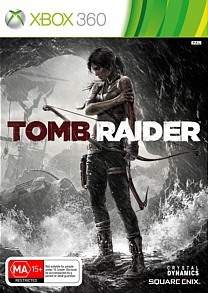 Set several years before the previous games, Kratos must find a way to break his bond from Ares after being duped by this god to murder his wife and child. It doesn't help that he has been chained by the Furies for breaking his oath to Ares. Besides the cinematics, the first thing that you notice in Ascension is the scope of the game. At times you feel like an ant due to the towering structures and massive boss battles as you make your way through ancient Greece. Sony's Santa Monica Studios should be commended in successfully creating a living breathing world for Kratos to explore and kill. As you explore the areas, Kratos will engage in a variety of enemies in order to "level-up" and solve puzzles in order to progress through the world. Puzzles can sometimes be a mixture of attacks but fortunately there is no controller rage yet... combat on the other hand... It's classic God of War gameplay, especially with the quick-time events and finishing maneuvers of our yet to be God of War. Combat is still the highlight of Ascension as Kratos chains his attacks together and performs a variety of special maneuvers as he takes on the ancient Greece pantheon. Even with the small tweaks to combat, the controls feel quite fluid on the PS3, especially as Kratos swings his deadly blades of chaos which you can upgrade as the game progresses. My favourite upgrade for the blades was the lightning of Zeus which allows you to shoot electricity into your foes. Best of all, these upgrades to your weapons actually add an element of strategy into your gaming but in classic God of War fashion, most players will find their favourite and stick with it. The targeting system has been improved and the grappling feels more fluid. You do have access to some secondary weapons that include the Javelin and the shield but these feel a little too forced and fiddle some to use. Orbs still play a key component to your health, magic and upgrade and at times it is a mad rush to gather them up after defeating your enemies. The rage meter is still around and can sometimes mean the difference between life and death as it is your most powerful attack. Apart from your standard enemies such as harpies, Kratos does go up against some strong boss battles that definitely ramp up the controller rage of this game. Once you manage to dodge, parry their attacks and get their health down to a certain level, a quick-time event is usually the only way to finish these monstering villains. Needless to say when you finally do get the end boss, it almost makes Shadow of the Colossus pale in comparison. In terms of completion, Ascension will take most seasoned gamers around 10 or so hours to successfully complete but once completed, Ascension has another trick up its sleeve called multiplayer. 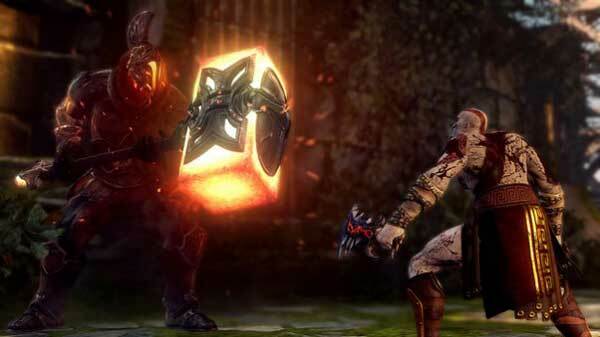 Multiplayer adds a unique element to the God of War franchise which definitely increases the longevity of the franchise. Before engaging in your online conquering, you first need to align yourself to a God such as Zeus or Poseidon which shapes your character and gives you certain abilities to your "class". 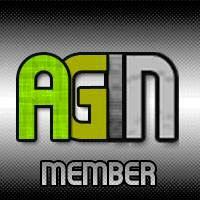 Online offers both cooperative and player versus player options such as Capture the Flag or Death Match. Fortunately combat is not as fast paced in multiplayer which definitely makes things considerably fairer to all involved. Also, unlike certain other games that "force" a multiplayer experience on you, God of War is quite a sturdy element that I'm sure we'll be playing for months to come. A special mention should be made about the Trial of the Gods mode which is like a hoard mode and allows you and a friend to fight off a never ending army of enemies. 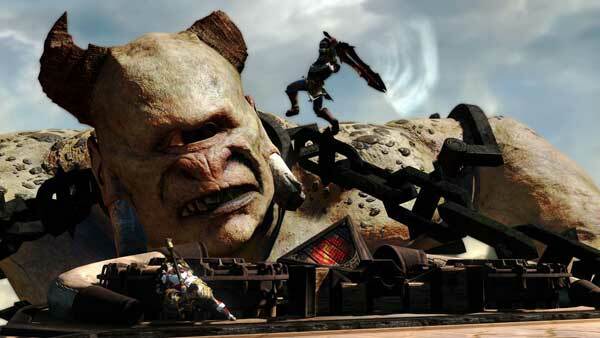 Graphically, God of War Ascension is easily the best looking God of War game to grace the PlayStation 3. The attention to detail is amazing from the realistic animation, perfectly sculptured texture details on the characters and stunning special effects. Battles like the previous God of War games are quite bloody and gruesome, especially those finishing maneuvers which almost made my stomach turn on occasion such as tearing out of the heart of a Medusa or cleaving in your enemies skull. However the highlight of the game in terms of graphics is that last boss, wow... wow is definitely an understatement. God of War Ascension contains all the bigger than Ben Hur gameplay from the series and is another enjoyable Kratos experience. 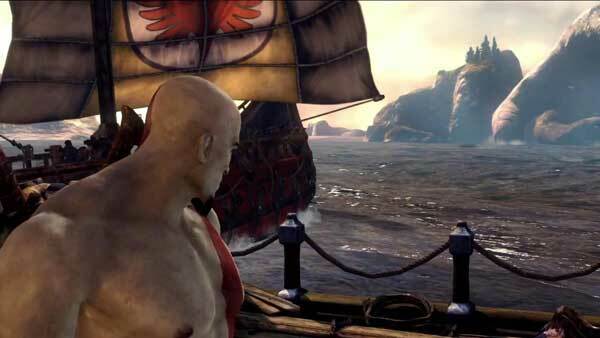 However as this game happens before many key elements of Kratos story, it does feel a little smaller in terms of scope. This is not to say that God of War Ascension is a bad game but it does feel a little limited opposed to Kratos with all his godlike powers. Nonetheless, I still enjoyed the gameplay and was wooed by the enjoyable and addictive multiplayer fun which adds the next chapter (pre-chapter) of Kratos, the God of War!